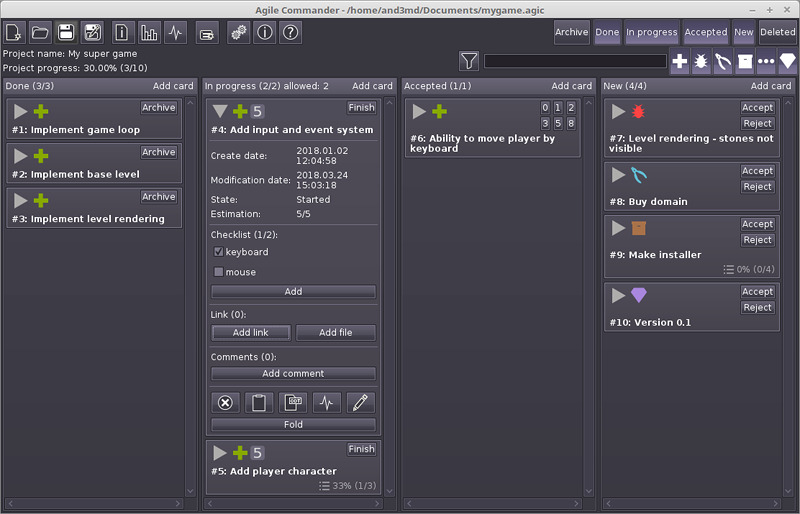 gile Commander is a desktop kanban board for IT project management Its goal is to be extremely powerful for single programmers (indie developers, freelancers, start-ups) and small teams. Agile Commander is consistent with the software agile principles. Its also a good bug tracker. Available for Windows, MacOS (OSX) and Linux.